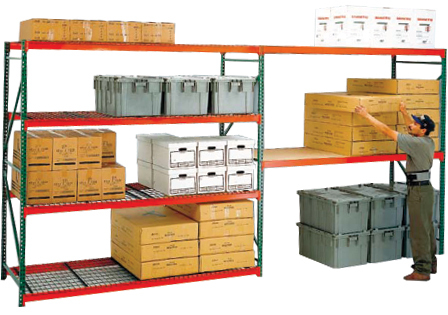 Use these shelf supports in conjunction with particle board to maximize shelf capacity. Shelf supports fit in notches in beams to maintain level shelf surface. Support color: Orange. Select Please Choose a Size 24" 36" 48"
Use these safety supports below Particle Board Decking to provide additional shelf capacity.